You're obviously under 10 if you don't understand what this is. This is the most unseeable thing on this whole site. lol. 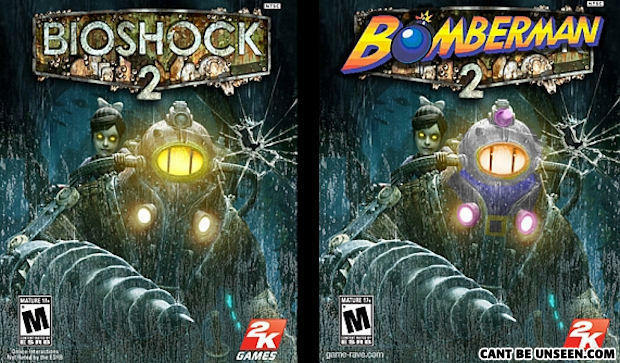 The title clearly changes to "Bomberman" but people still don't get it. Google could be your friend. i have seen it 30 times today, can you please tell me what am I supposed to see??? Actually I think I'd rather play this as bomberman. Atomic Bomberman FTV if you agree thumbs up! Exactly, i'm 12. LOVE that gameboy game! Um..... i know this will probably be a REALLY stupid question for a 25-year-old to ask but..... Seriously, what's Bomberman? When do I start hating my friends for ganging up on me? Im 13 and I dont know what this is asshat. i am 12 and what is this ? What do you call an arab terrorist with a bomb on his back in the middle of an airport?